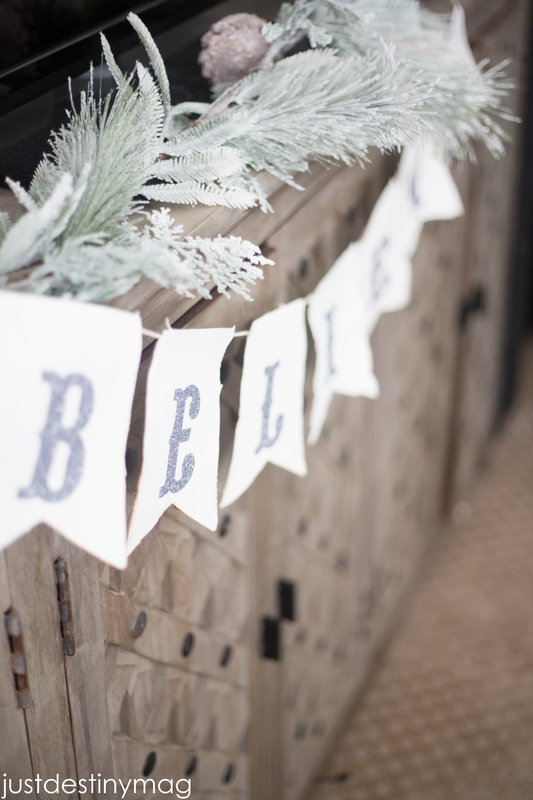 I’m back today showing you how to make these DIY Christmas banners for the holidays! You all know I love my paper banners, but for my favorite things party this year I had all my friends do some take home crafts. Pinecone trees, gift stamps and of course banners! 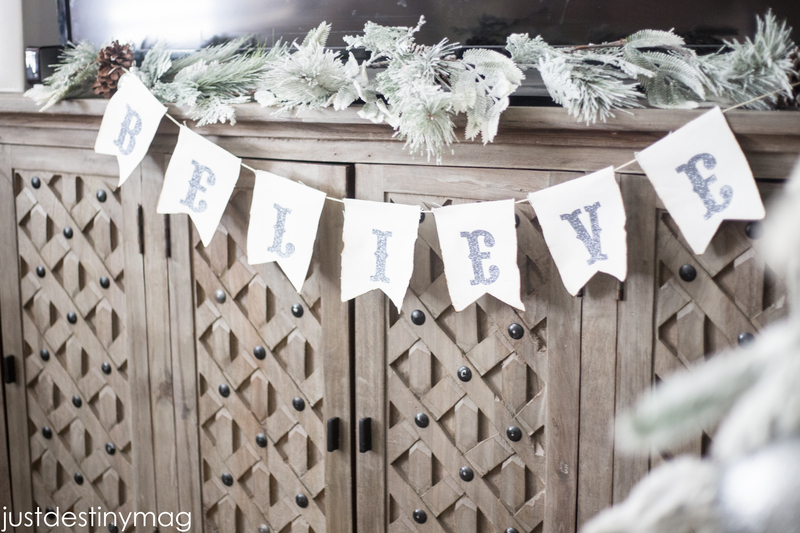 Today I’m going to show you how to make these banners using your Silhouette Cameo and some ready made supplies to save time. I prepared a few different combos before hand and just stuck them in the gift boxes that I gave the girls!! My favorite one was the black and gold banner! But EACH one is amazing! 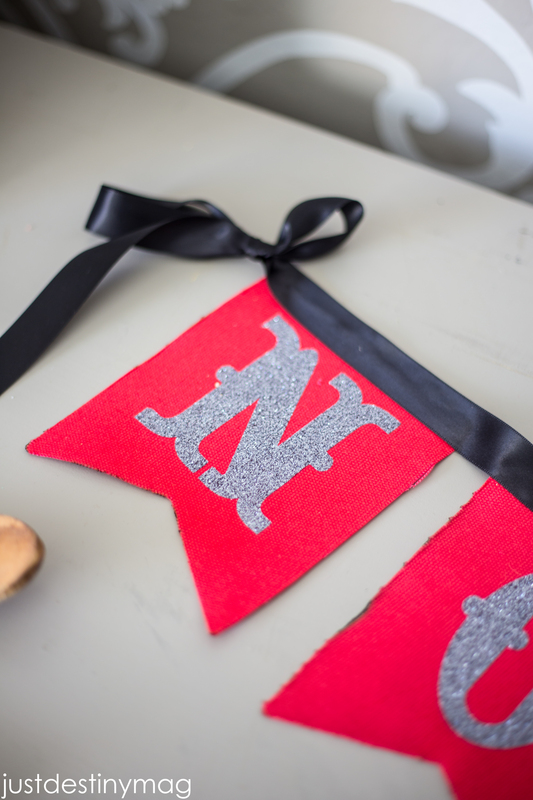 The sample below is going to be a red and silver glitter letters with a black ribbon accent! First you’re going to want to purchase pre made banner cut outs. Can your Silhouette cut these too? Absolutely! But the holidays can get a little crazy and because we didn’t have all night I decided to purchase these pre-cut ones for the girls. 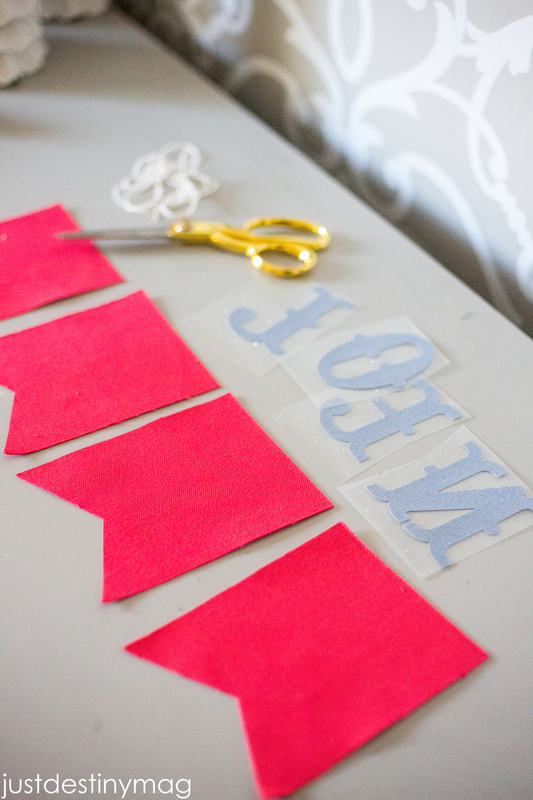 Layout 4 banner flags and measure each one to see how large your letters should be. These premade banners hold a 3 inch letter pretty well. 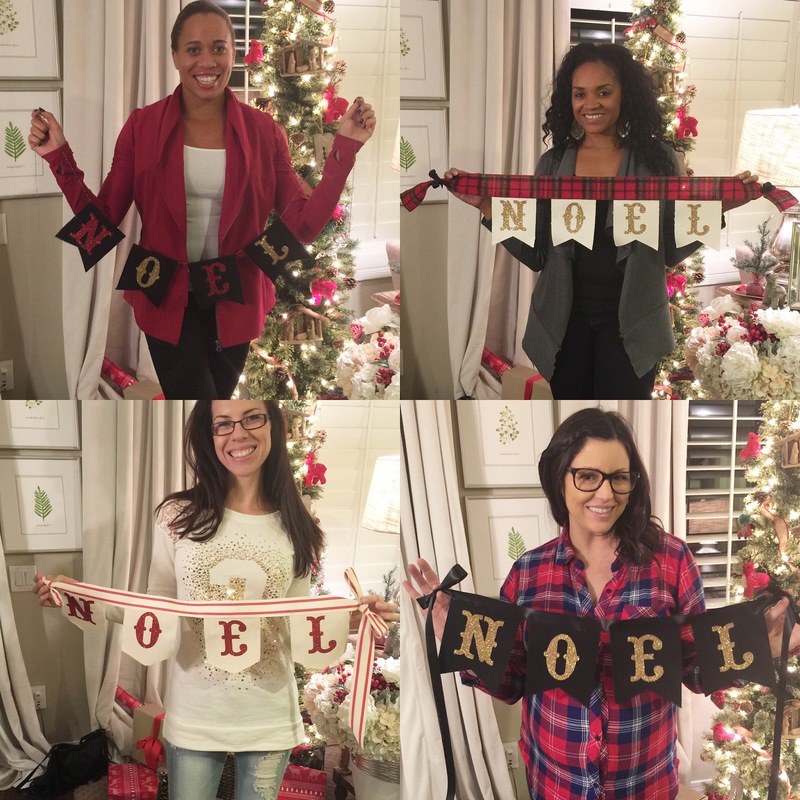 Next open up your Silhouette software to start creating your NOEL letters. Purchase the NOEL letters from you Silhouette store and open it. Because this is going to be an iron on you will need to flip the image horizontally before you cut. DONT SKIP THIS STEP! Once that is done you are ready to cut. Go to Cut Settings> Heat Transfer Smooth. Then change your blade to the correct cutting by using the tool on the machine and place it back into the machine securely. I usually cut on 4! 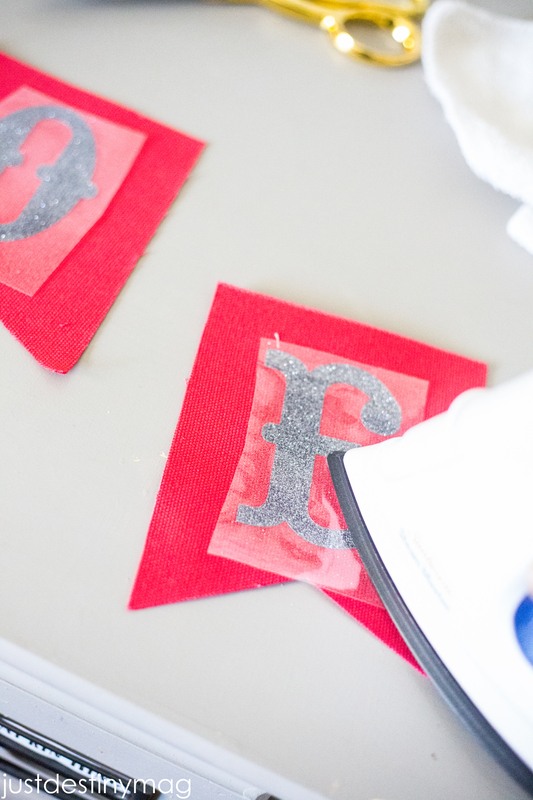 Make sure the transfer material is glitter side facing down. Another very important step! 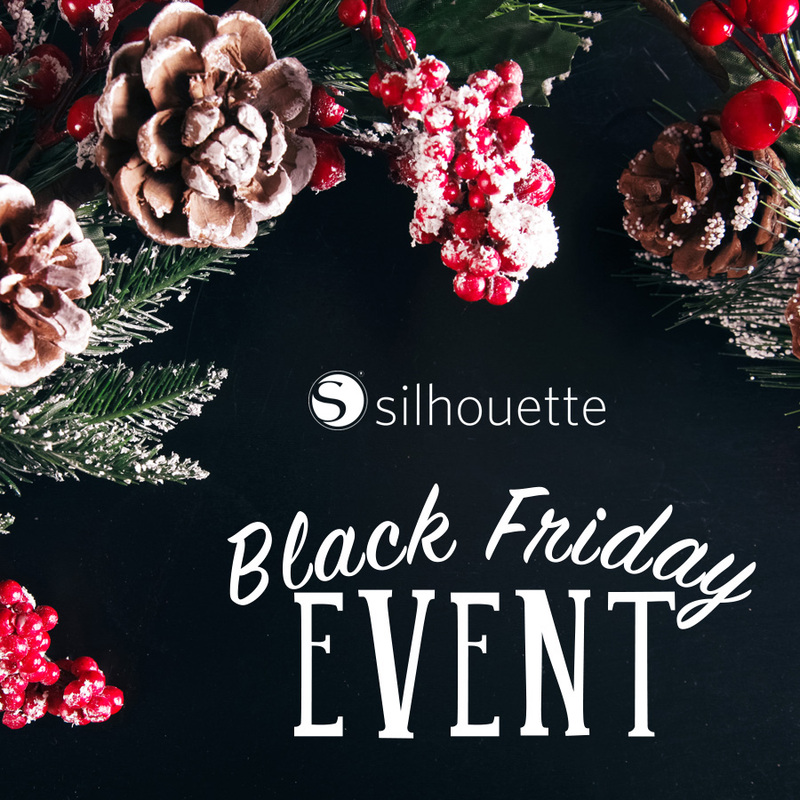 Head back to the design studio and send to Silhouette! 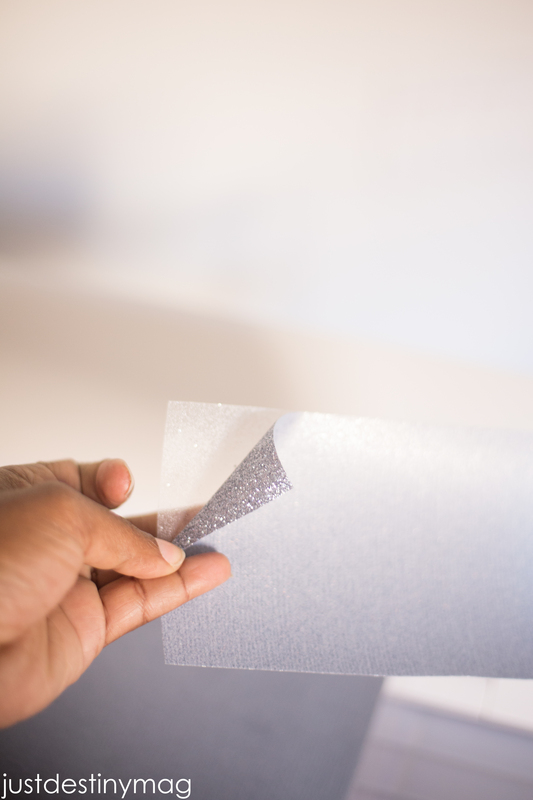 Peel back the negative part of the heat transfer material. Next cut each letter out and place on each banner. 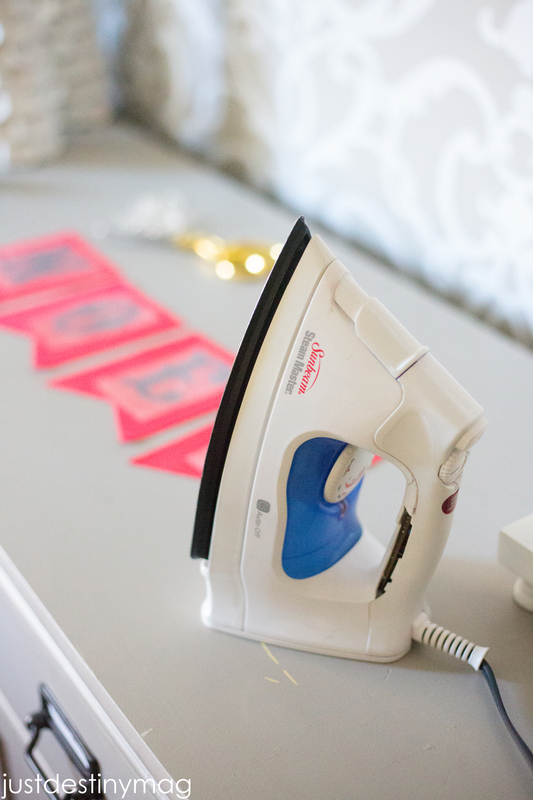 Use a hot iron and press firmly around the letters with the tip! 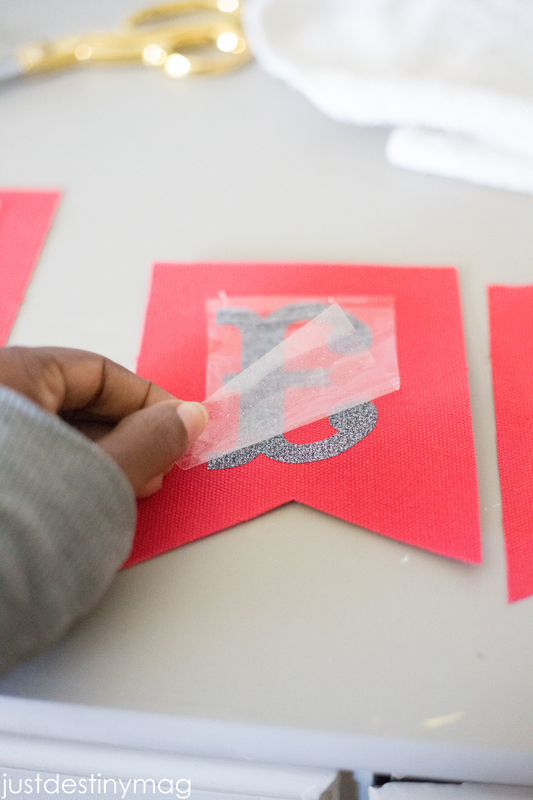 Peel back slowly to reveal your letters! Repeat! 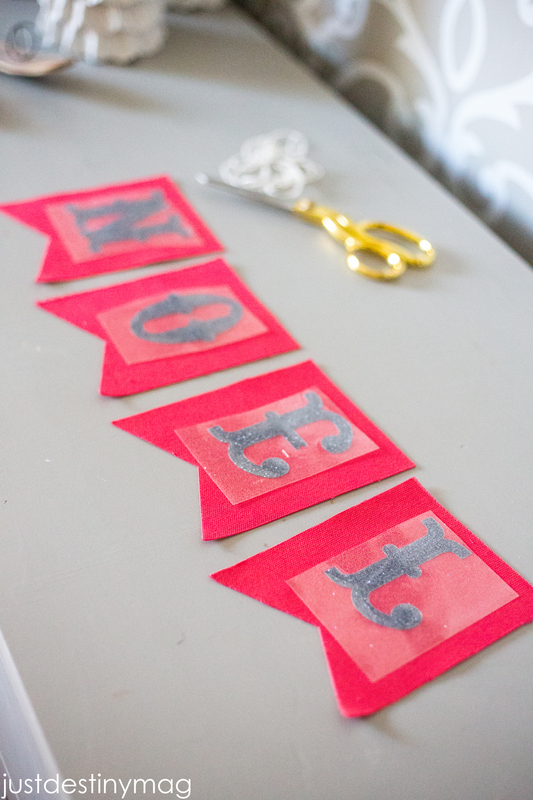 Next, flip over your banner and use the hot glue gun to glue on rope or ribbon onto banner to finish. My friends did a great job! 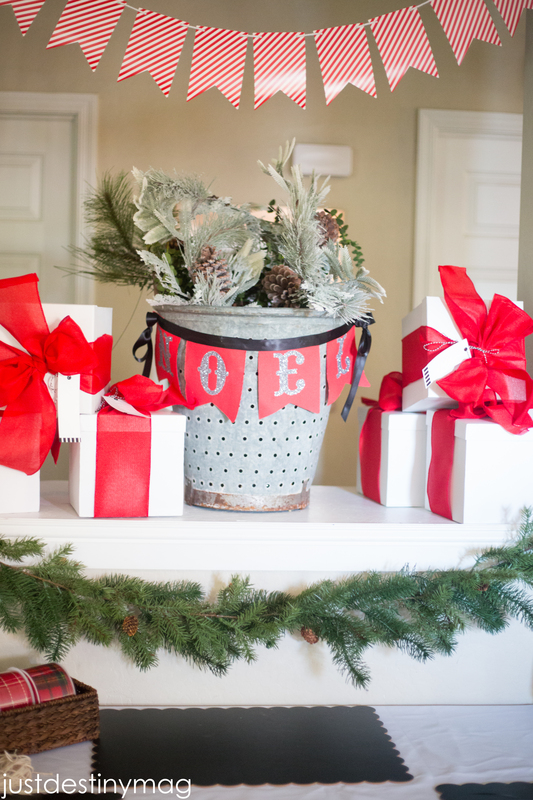 What a great way to add some holiday cheer to your space! I even ended up making one for my family room!!!!!! If you’re thinking about getting a Cameo this Christmas then make sure you check out the BLACK FRIDAY EVENT! Starting this THURSDAY at 12:01am MST……. 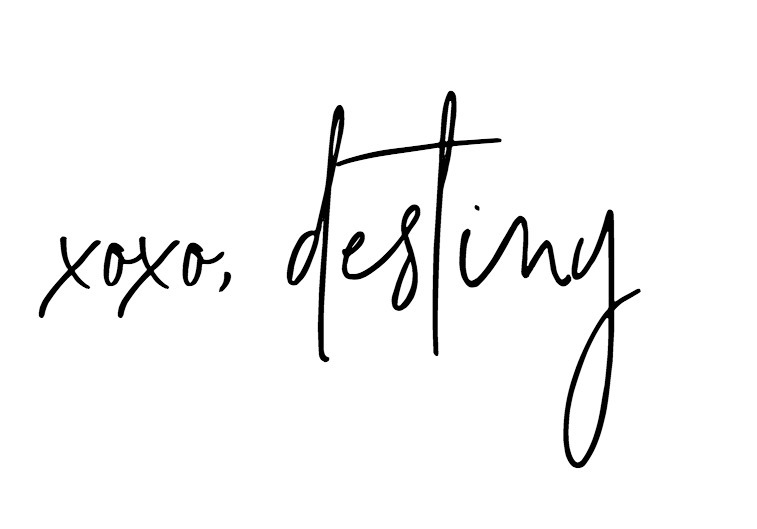 Simply got to http://www.silhouetteamerica.com/bf and enter code: DESTINY to get these deals!!! This is a sponsored post brought to you by Silhouette America. 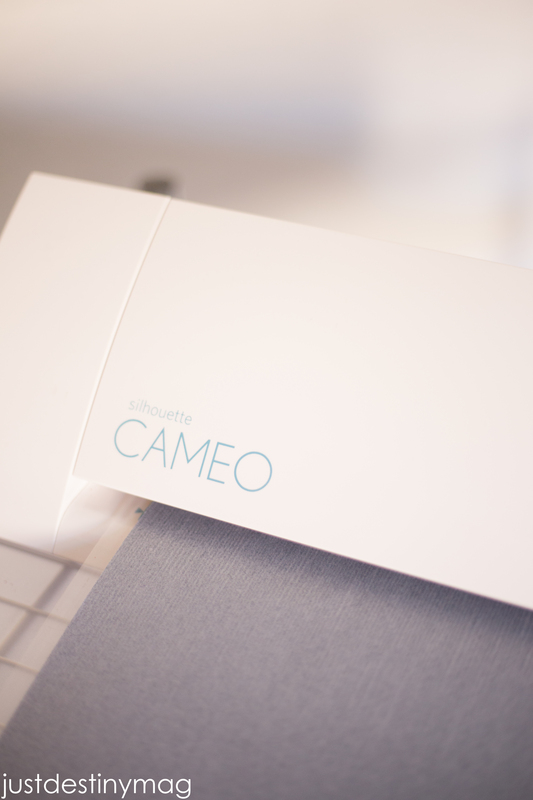 Visit them for even more creative ways to cut, stamp, emboss, stipple and score with their suite of machines, the Portrait, Cameo, Curio and Mint.